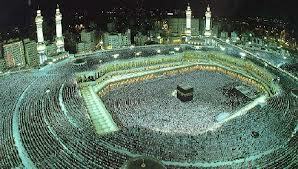 Saudi Arabia receives 400,000 Umrah pilgrims every month and the figure could reach 800,000 in Ramadan. The Haj Ministry is currently giving final touches to a 25-year strategic plan that would bring about qualitative improvement in services being extended to millions of pilgrims who visit the holy cities from different parts of the world. 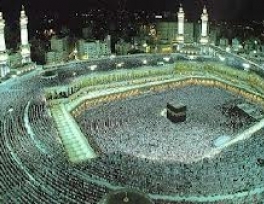 “The plan has taken into consideration the increasing number of pilgrims who come for Haj and Umrah and the limitation of the holy sites,”said Haj Minister Bandar Hajjar. “A technical committee, which was set up last year under a royal decree, is giving final touches to the plan and it will be ready soon,” the minister said. Addressing a forum at King Abdulaziz University, Hajjar revealed plans to deport expat workers who performed Haj without permit or prevent them from entering Saudi Arabia for 10 years. He estimated the number of illegal visitors at 2.6 million, adding that they squatted in public places creating problems for legal pilgrims. He said the new electronic system would enable foreign pilgrims familiarize themselves with services available to them before they leave for Saudi Arabia. There is a plan to restructure Tawafa organizations and it is being studied by the Cabinet’s committee of experts, said the minister. The restructuring will enable these organizations to manage their affairs in a commercially successful manner. “They have been charging SR 500 for each pilgrim,” Hajjar said, adding that charge was introduced 50 years ago. Hajjar reiterated that Saudi Arabia does not charge any fee for Haj and Umrah visas and other state services provided to pilgrims. “The money they pay goes to the private Tawafa organizations for services such as food, accommodation and transportation,” he said. He also stressed the need to differentiate between Haj & Umrah and religious tourism. “There is nothing called religious tourism in Saudi Arabia,” said the minister.